We live in a time when instant gratification is more prevalent than ever. Organizations of every size are offering overnite courier & same day delivery services. In order to participate in today’s competitive market, you need to offer the same type of services. 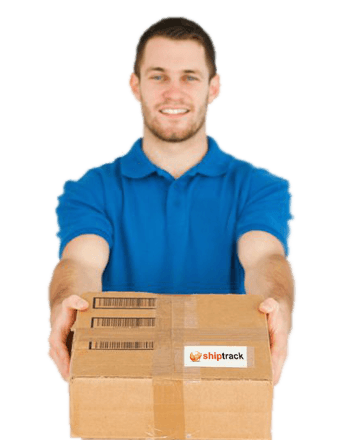 ShipTrack can help you take your delivery services to the next level! As demand for your last mile delivery services increases, the last thing you want is dispatchers overwhelmed with call volumes. Additionally, eliminating the chances of drivers compromising safety due to an excessive demand is equally undesirable. Remember, as your last mile delivery business expands, the ultimate goal is that your customer satisfaction and retention rate grows along with it! How can you follow through on your promise for same day or overnite delivery, without addressing these challenges? With ShipTrack’s unique process automation capabilities, the days of dispatchers manually assigning and re-assigning routes to drivers are over! The ShipTrack system can automatically process incoming orders and allocate them to specific drivers, based on route. The system allows for easier tracking and managing of drivers, and streamlined communication between dispatchers and drivers on the road. The resulting increase in driver productivity can mean substantial savings per shipment. Extend your services and exceed customer demands with ShipTrack. Our real-time technology environment will help you maintain the highest standards. You will be able to offer customers competitive, cost effective, and high quality delivery service. Your express delivery customers will always know exactly where their packages are and will rest assured that their expected delivery time will be met. ShipTrack offers a unique solution for companies that want to offer or increase their overnite courier last mile delivery services. Our Track and Trace Delivery Platform is second to none in features, which translate to powerful benefits for your business. ShipTrack has no start up costs, requires no IT staff, and no computer servers! Our approach to deploying the ShipTrack application to the smartphones of your current employees, means you can be set up and running in no time! Other companies in the overnight courier delivery business have already noted the benefits of our track and track app. Our powerful app provides complete visibility on the movement of shipments and deliveries to both vendors and customers. Your office can track and deploy drivers to the fastest routes, schedule overnite courier deliveries, and dispatch drivers. While all of this is occurring your customers can easily monitor their delivery from home or office. There are no contracts, no app fees, and no term commitments with ShipTrack’s track and trace app. Boost the productivity and return on investment of your overnite courier delivery and express services by choosing the ShipTrack app!